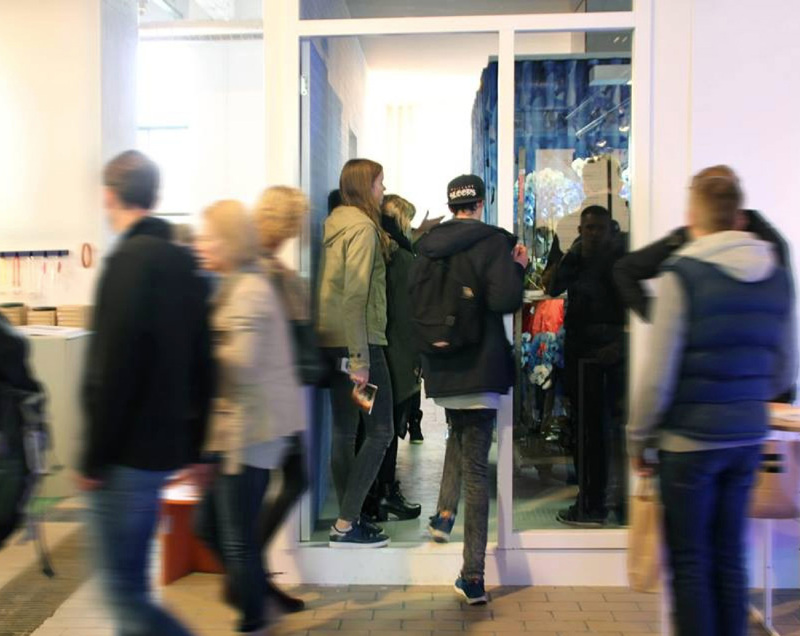 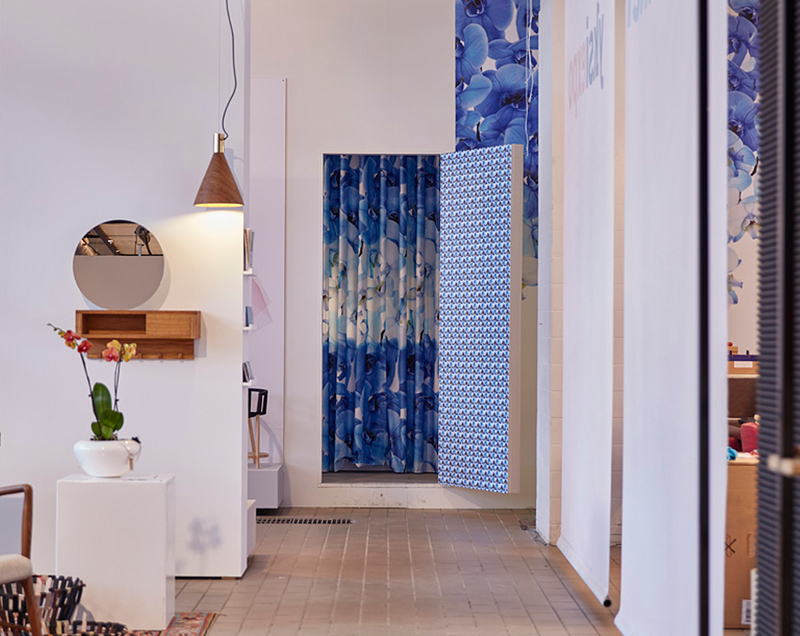 During the Dutch Design Week 2015 Ulrike Jurklies and I created an opulent visual experience at Yksi; Strijp-S in Eindhoven. 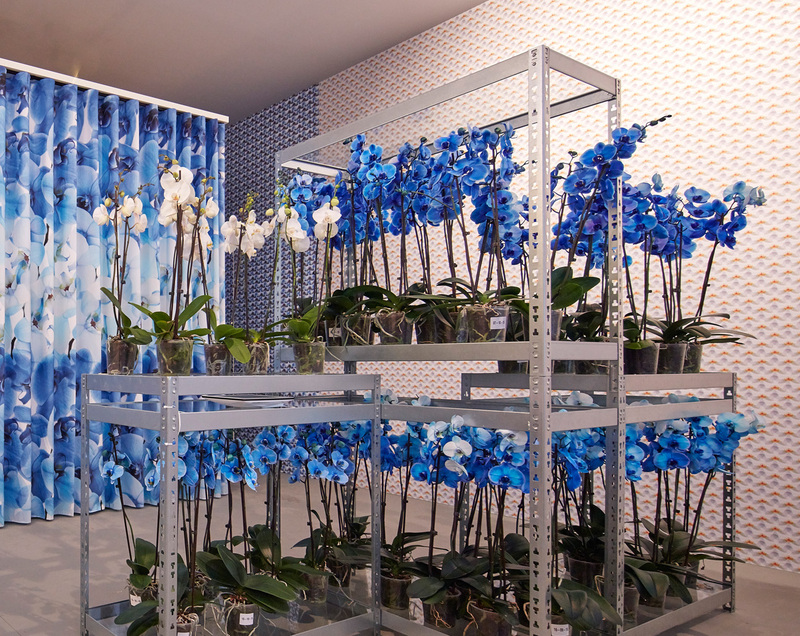 The installation was realized in collaboration with VG Colours and Big Impact. 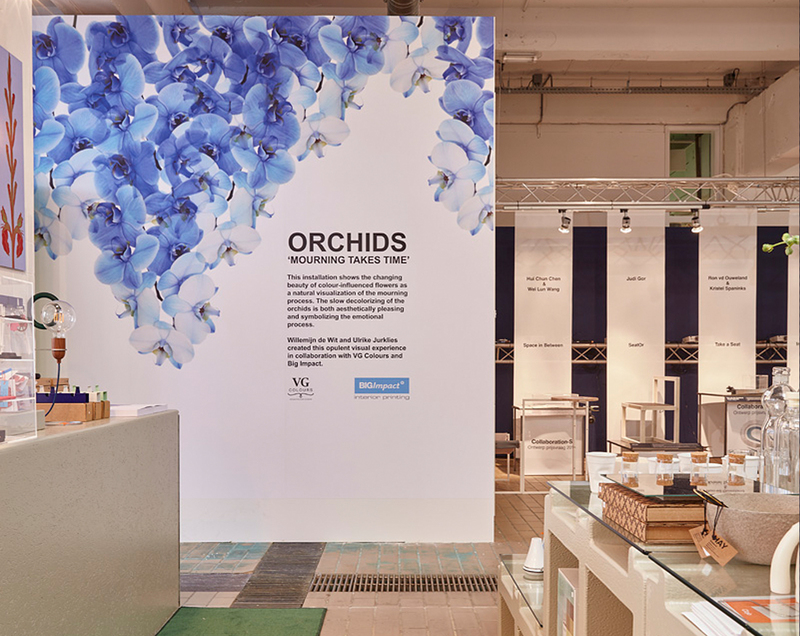 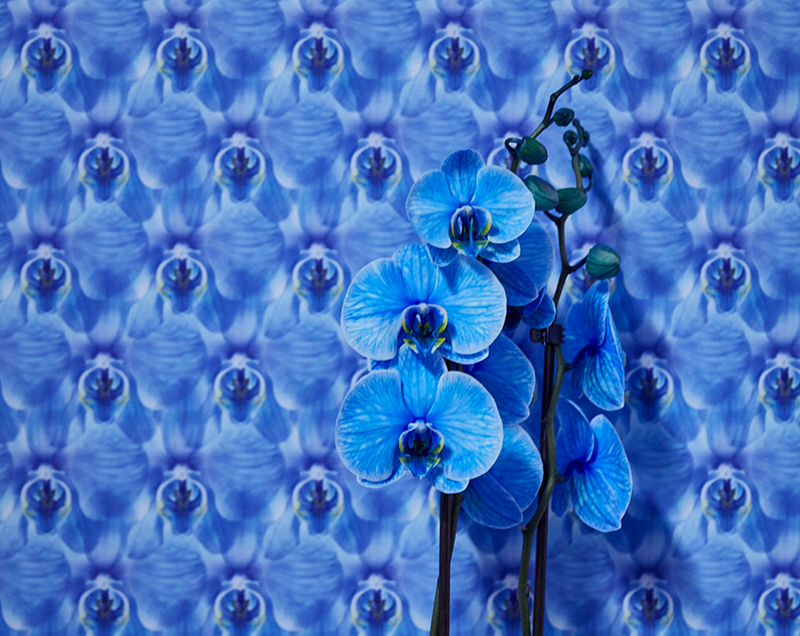 The unique technique to influence the blossoming beauty of orchids by VG Colours inspired us to visualise an experience that is so difficult to put in words: ‘Mourning takes time’. 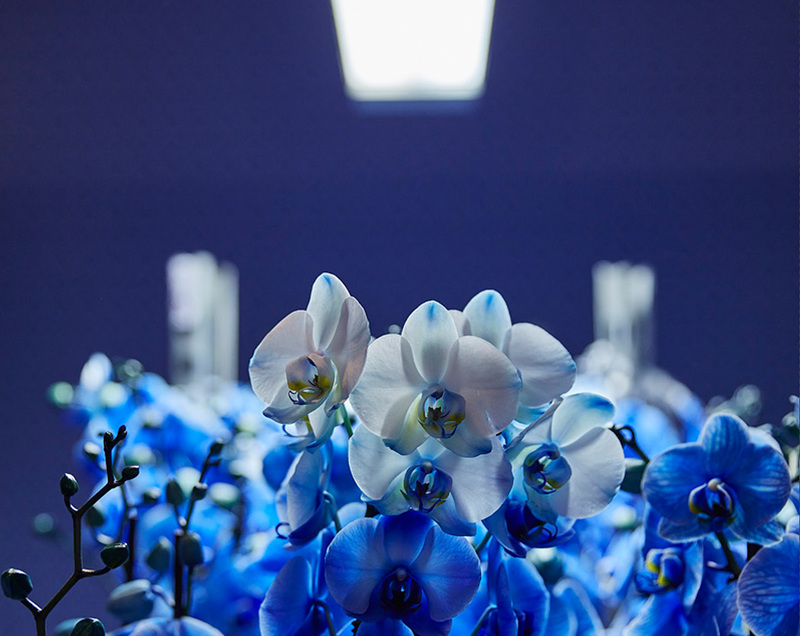 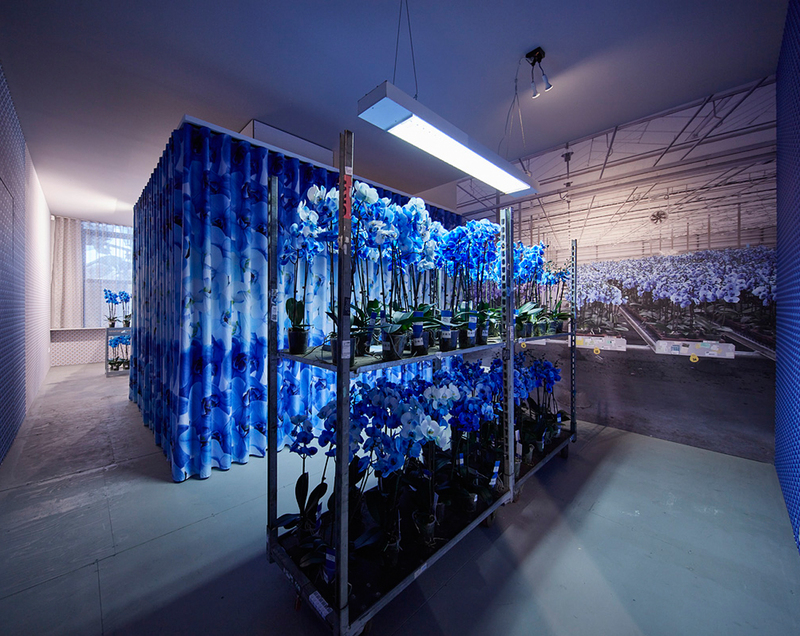 The orchid installation shows the changing beauty of colour-influenced flowers as a symbol of mourning, visualizing the overwhelming feeling that temporary takes control of the whole body. 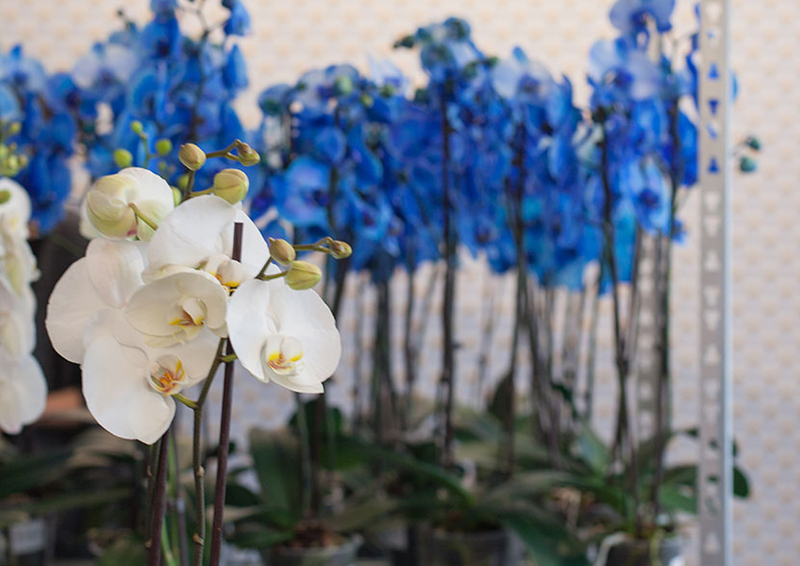 The innovation of treating orchids with colours where introduced into the market in 2009. 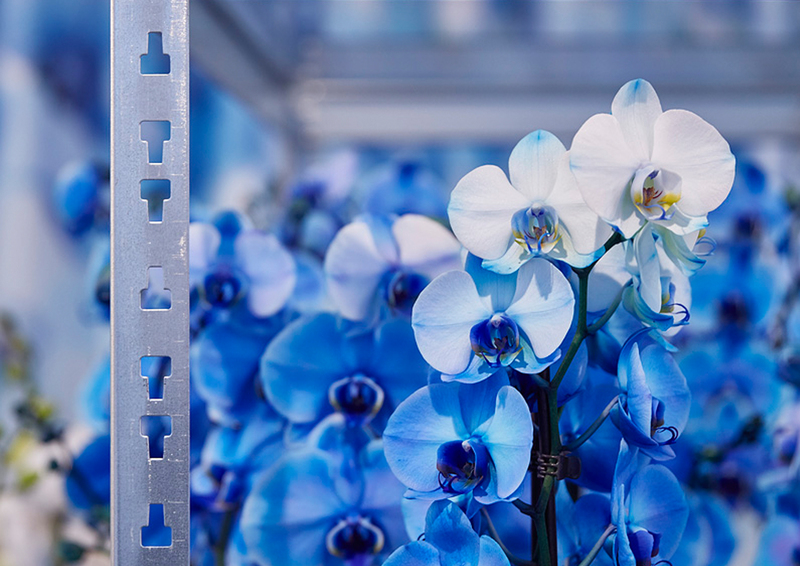 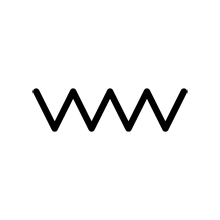 VG Colours is known for this unique technique, and focused on further development in this special design field. 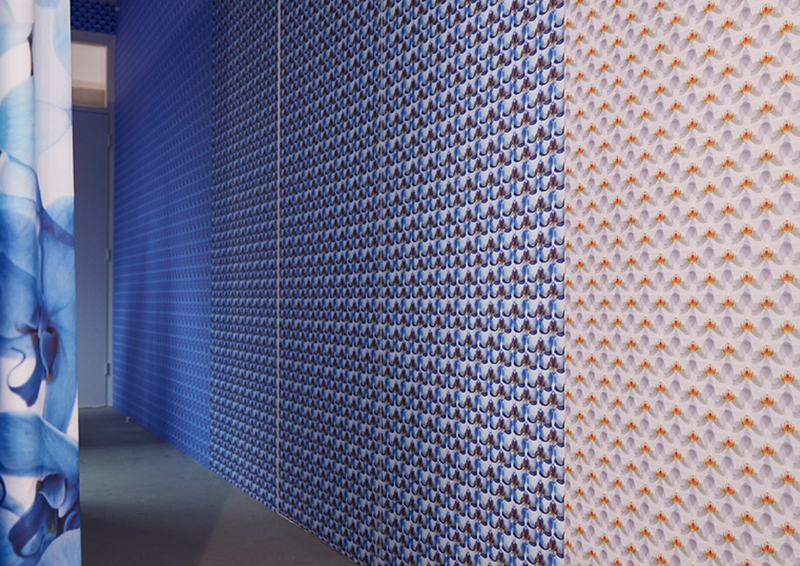 A new Bio based wall covering called Gluetex Biovate by Big Impact is a second element of the installation. 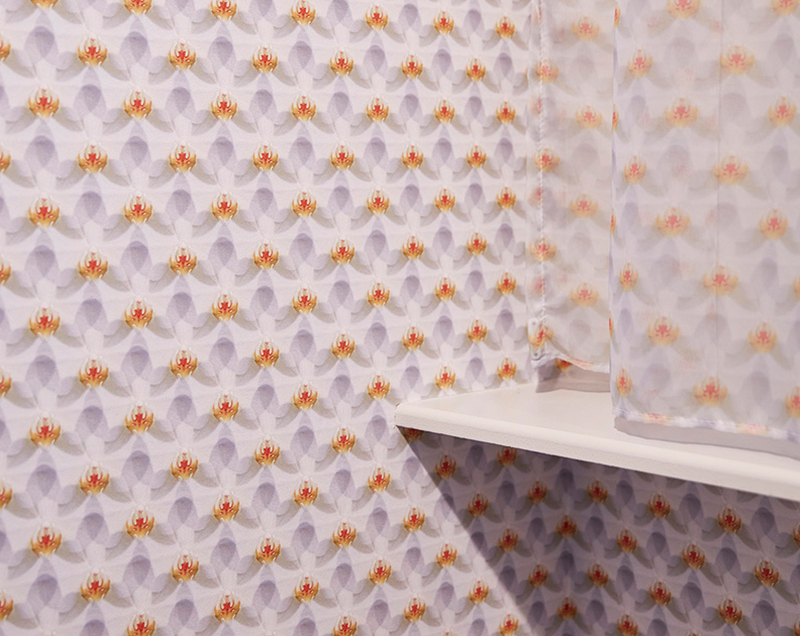 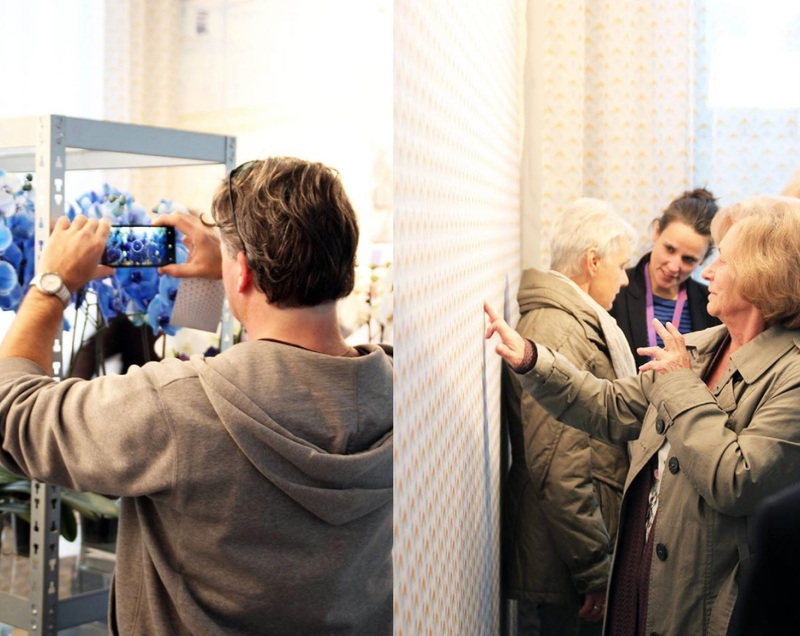 Next to the emotional personal experience, mo man tai by Ulrike Jurklies designed a collection of patterns which are printed on this bio wall cover and on curtain textile to complete the installation.